Operation Catnip - A non-profit organization dedicated to humanely reducing the stray and feral cat population through a no-cost Trap-Neuter-Return program. Companions Pet Loss Support - Provides reading material to help in grieving the loss of beloved animal friends. The six colleges of the University of Florida Health Science Center, the UF Health family of hospitals and many community volunteer partners work together to act as a health care safety net for many of the most vulnerable citizens of north Florida. Making primary care and advanced clinical services accessible to those beyond our doors, including economically disadvantaged residents, is one way we strive to meet our public service mission. The following are several of our multidisciplinary community health programs and services. The professional care managers of Aging Resources and Care Management work with elderly individuals, their families and their caregivers to identify community contacts, referral sources and care options that best suit the client's situation. The ARCM care management process ensures continuity of communication between clients, their families and service providers. Alachua County Organization for Rural Needs, Inc.
ACORN Clinic is a nationally recognized program that provides low-cost medical and dental care to residents of north central Florida. Each year more than 100 physicians, dentists, nurse practitioners, physical therapists and dental hygienists volunteer their time to provide patient care. The Center for the Arts in Medicine facilitates research, education and training in the use of the arts to promote art and creativity as catalysts for developing healthy lifestyles and to further develop art careers in health care. The Center provides a framework for interdisciplinary collaboration among University of Florida faculty and students, health care providers, clinical artists and our local and global communities. The Center for Autism and Related Disabilities provides individualized, direct assistance to individuals with autism and similar conditions and their families. Services include technical assistance and consultation, professional training programs and public education activities. The Center for Musculoskeletal Pain Research is dedicated to the study of mechanisms responsible for musculoskeletal pain and associated patient care. Many of the College of Dentistry Off Campus Clinics provide reduced-fee oral health services to low-income and low-access populations throughout the state of Florida. The staff from ElderCare of Alachua County advocates for the elderly and provides services that will build capacity, maximize independence and enrich the quality of life. The organization provides services to seniors such as delivering meals to homebound seniors, providing daycare for Alzheimer's patients and providing transportation. The Equal Access Clinic is a weekly clinic that provides free medical and dental care to less fortunate Gainesville citizens, staffed by volunteers from among the College of Medicine faculty and students with help from the College of Dentistry and UF pre-med students. The Florida Outreach Project for Children and Young Adults Who Are Deaf-Blind is committed to promoting educational practice that leads to the full participation of people who are deaf-blind as active members of the community. HealthStreet is a community-based program that works to reduce disparities in healthcare by linking the medically underserved community members to health care providers, community organizations, and researchers in the University of Florida community. HealthStreet provides free access to health screenings, classes, and other services. College of Medicine faculty volunteers are part of the Helping Hands Clinic operated at the Salvation Army Lodge in downtown Gainesville, which serves the needs of the areas homeless. Social workers, registered nurses, advanced registered nurse practitioners, physicians and community service volunteers staff the clinic. The Family Health Program is comprised of teams of students from the Colleges of Medicine, Pharmacy, Dentistry and Public Health and Health Professions. These teams are assigned to individual Alachua County families to assess their health needs by making home visits, gathering health data and developing a "prevention prescription" to promote health maintenance or disease prevention. The MDT Program provides comprehensive direct services for pre-kindergarten to sixth-grade children through the use of an interdisciplinary diagnostic clinic, consultation, technical assistance, parental education, and direct intervention services for children. The MDTP consists of professionals from pediatrics, psychology, communicative disorders, occupational therapy and special education. Safe Kids North Central Florida at UF Health Shands Children's Hospital, part of Safe Kids Worldwide, brings together more than 50 organizations and individuals concerned about childhood injury prevention. Sign up for car seat checks, find local safety events, join the Safe Kids Club and find answers to commonly asked questions about fire safety, water safety, car seat safety and bike safety. The UF Mobile Outreach Clinic is a highly flexible means of delivering health care to the medically under-served in low income neighborhoods and rural areas in and around Alachua County. The Mobile Clinic itself is a large bus containing two exam rooms, a laboratory and a waiting area. It is currently staffed by a registered nurse who can screen, refer, and provide case management. The Mobile Outreach Clinic is in operation an average of five days per week. 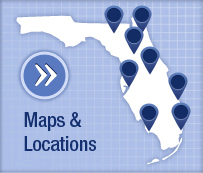 The UF Rainbow Center is the only comprehensive pediatric AIDS program in northeast Florida. 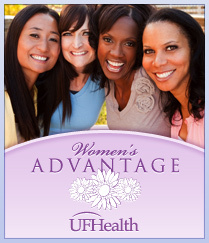 The center, located at UF Health Jacksonville, provides primary, secondary and tertiary care for HIV-exposed and -infected women, adolescents, children and families living in north Florida and south Georgia. 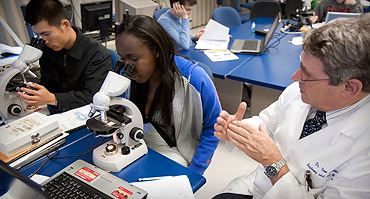 The University of Florida Community Outreach website lists outreach programs – local, national and international – sponsored by each of the 16 colleges. Reaching out to the community is a tradition at the University of Florida, which is a land-grant institution. Serving our neighbors is central to our goal of being an excellent university.